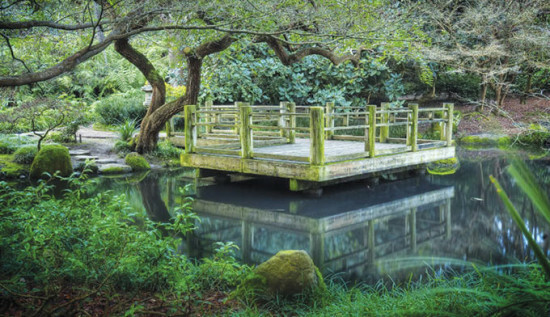 The San Francisco Botanical Garden is one of the most diverse gardens in the world. 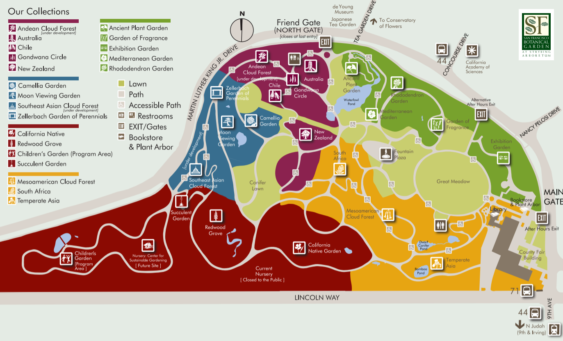 A unique urban oasis, the garden is a living museum within Golden Gate Park, offering 55 acres of both landscaped gardens and open spaces, and showcasing over 8,500 different kinds of plants from around the world. The garden is always free for San Francisco residents, but visitors can also enjoy this treasure for free on the second Tuesday of every month, plus it’s free on Thanksgiving, Christmas Day and New Year’s Day. Early bird? Come by any day and get in for free from 7:30-9 am. Open daily, starting at 7:30 am. The garden closes one hour after last entry. Last entry changes seasonally.